We’re into the final third of our run down of Manga VHS releases, and here’s where those releases start to feel a little run down themselves. We open with the much cut Violence Jack and end with the final Gall Force sequel, the original having never been released in the UK. Hi guys! I’m loving listening to this comprehensive breakdown of Manga’s VHS lists! Thanks. That makes sense, more recycled titles to save money after GITS drained the coffers. Yeah pretty much! I was very much like you at this point, I had ‘jumped ship’ and was buying mainly Pioneer and AD Vision stuff at this point. 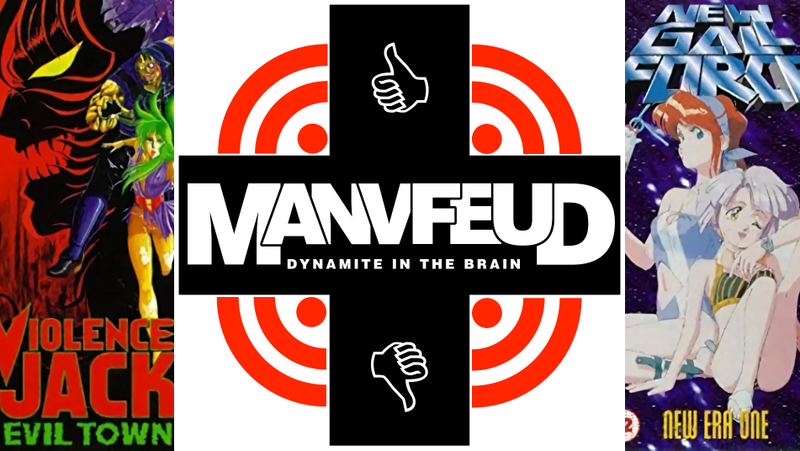 Looking forward to the next MANVFeud! I’m going to go and listen to some of your other podcasts too. Really enjoy what you guys do.